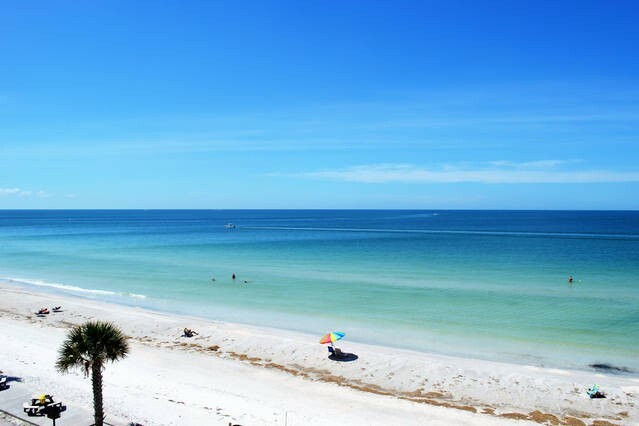 PERFECT BEACHFRONT VIEW in this Sunset beach 1 bedroom/1 bath Treasure Island Vacation Rental Condo. Beach and pool is right there!! no far walks... This condo features an updated, clean kitchen, living and dining room combo~enjoy beach and sunset views from inside condo~queen sleeper sofa, love seat, cable tv, breakfast bar and dining room~newly remodeld kitchen features dishwasher, microwave, stove/oven, full refrigerator, coffee pot, blender~nicely stocked for a comfortable stay; a spacious bedroom, queen bed and plenty of closet space; full bath/shower combo, bath/beach towels, linens included. 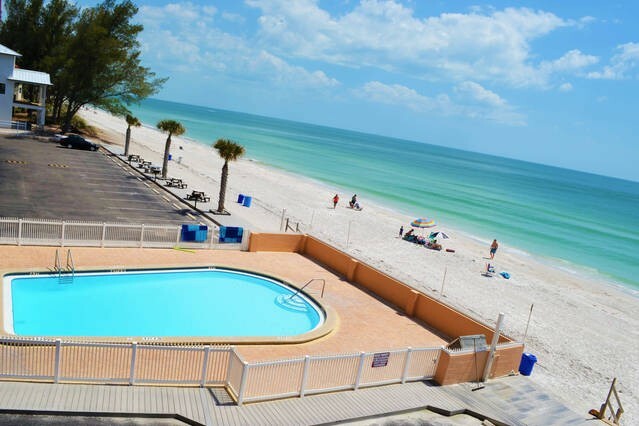 Sunset Chateau complex is a short walk to popular Caddy's On The Beach for food and fun~ live entertainment. A short 5 min. drive to restaurants, bars, beach shops, grocery store and more. 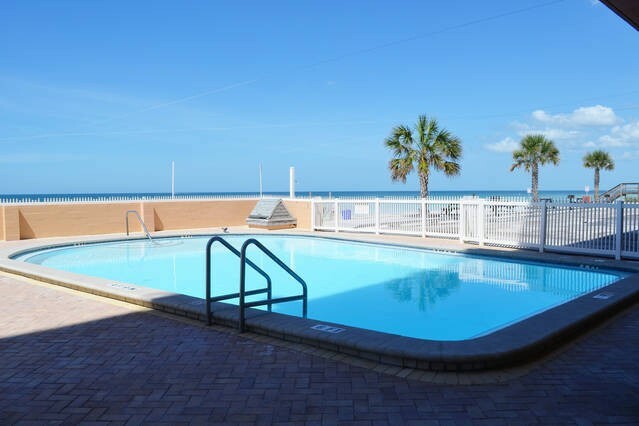 Watch the sunsets, relax on the beach or swim in the pool (heated). Please contact me with information regarding Sunset Chateau 406. We have been staying in this condo since 2008, it is unmatched. Beautiful condo, gorgeous beach. There is a sign close to there that said “on island time.” That is exactly how I felt staying at this condo. "This was just as advertised. On the Southern side of Treasure Island so it was a bit quieter and far less people on the beach. 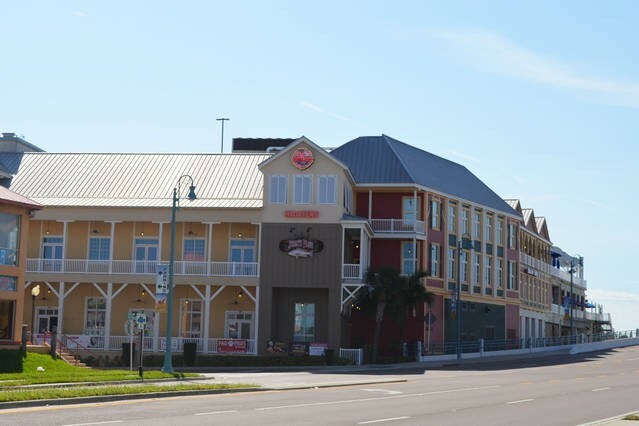 There were two small restaurants within walking distance that we didn't try, but everything on the Gulf Strip is less than a 5 minute easy drive. Covered parking is great, and the view was spot on. Full ocean view and the beach is at the bottom of the stairs or elevator. The beach chairs, umbrella, and toys were a great perk. The only thing you'll need are beach towels. Would highly recommend, and wouldn't hesitate to sty here again! Sandcastle Realty was super easy to deal with and prompt with communication." 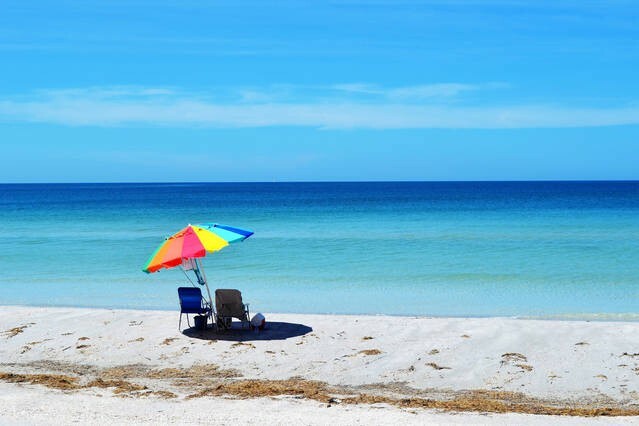 "Lots of conveniences available including beach chairs, beach umbrella, etc. For the management step by step instructions for the TV would. be helpful. 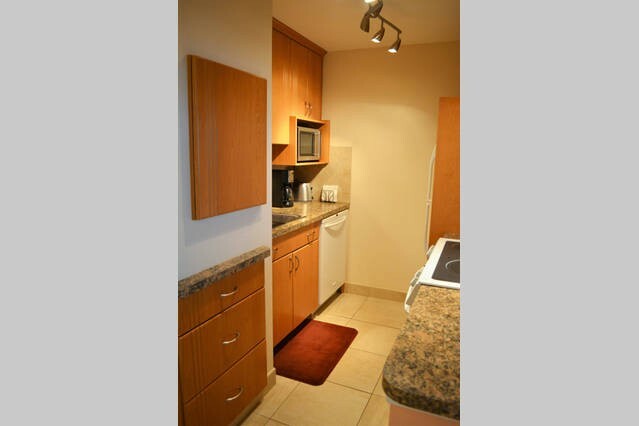 Otherwise the place was super equipped and amazing in its location." "Place is right on the beach, very nice and clean." "Easy check- in! Right on the water! great location and close to St. Pete Beach! Will come again soon!" Condo was just perfect. Clean, cozy, comfortable and right on the beach. Neighbors were very welcoming and polite. We'll definitely come stay here again for future visits. Beautiful sunsets right at your front door. We couldn't have asked for a more perfect vacation. It was a very nice location and comfortable for a small family to stay for an extended period of time. I'm glad they provided beach chairs and umbrella and all the small things you may forget to bring with you, although we brought ours I wish I hadn't for space saving in the vehicle. 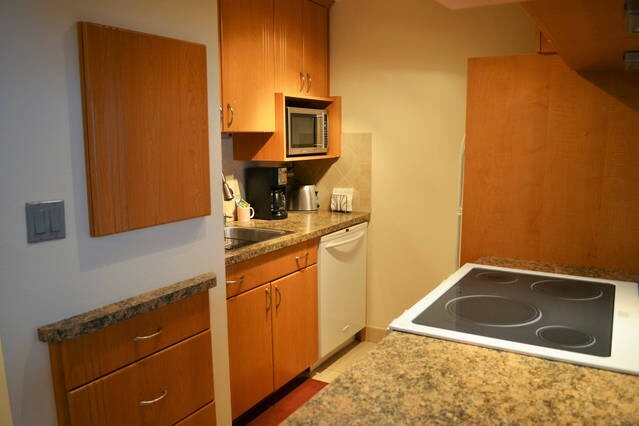 The Condo was well stocked with amenities from home, such as Coffee machine, dishwasher, dishes and utensils and most things you would need during a normal day. I would recommend to friends this Host and location. Everything about this place was perfect! The bedroom, bathroom, kitchen, and living room was clean. You can view and hear the ocean from your living room! I will definitely be coming back again and recommend to friends and family! Great place for a family with small children. Everyone is very friendly. It's right on a beach and it has a good size pool. The apartment had everything we needed and more (frying pans are pretty old and scary, but we didn't need one). Beautiful view of sunset. And we got to see dolphins once. This turned out to be a great vacation for our family of four (parents and two teens). The first day was a little rough with the pool being closed needing repairs. The elevators also broke and the stair doors are kept locked so we had a rough time getting back and forth to the 4th floor. The residents there and Sand Castle Realty really came through however. The pool was repaired the next day and an elevator repairman was on site almost immediately. In the meantime one of the residents gave me a stair key to make things easier. I called Sand Castle a few times and they were very responsive. Thanks!!! The condo was great! We had 6 chairs to use on the beach, an umbrella and two coolers. The A/C worked great, kitchen had plenty of utensils and necessities. The beach is great, spent most days there. The pool is very refreshing and was cleaned daily. The view of the gulf is priceless. I wasn't sure if I would like to shared balcony, but we sat out there everyday and loved it. 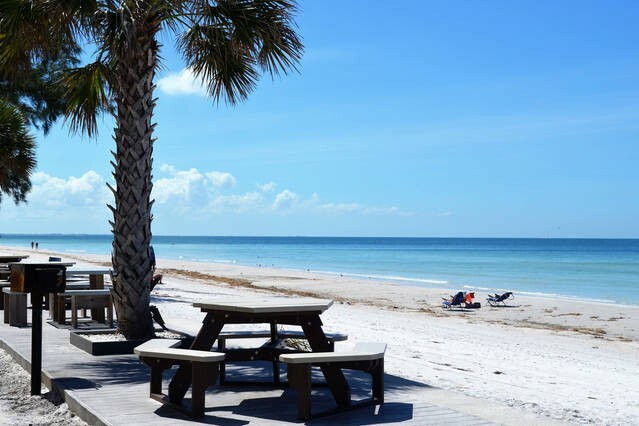 I highly recommend the day trip out of Pass A Grille to Shell Island. We had a great time and found lots of souvenirs. 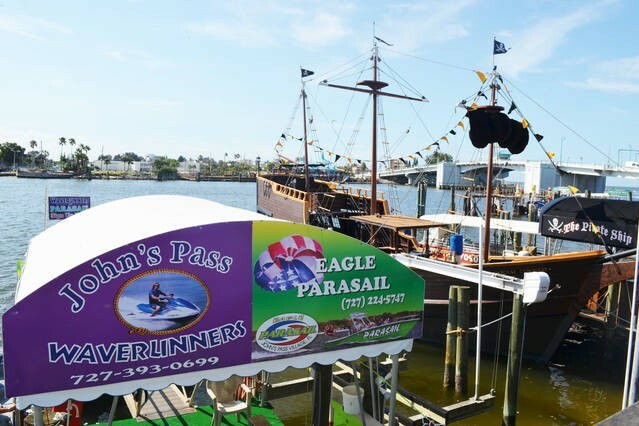 We also went to John's Pass and road wave runners, para sailed and went on a sunset cruise. The beach bar/restaurant Paddy's is about a 10-15 minute walk down the beach, spent plenty of time there. Thanks for the morning beach yoga!! There is a grocery store a endless restaurants nearby. 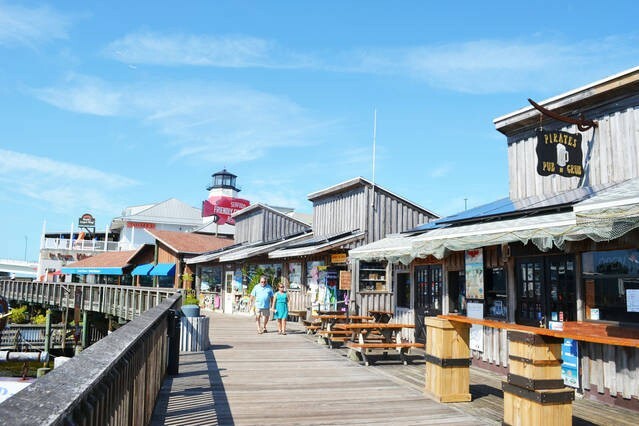 We found some great seafood places, Sea Hags being the best of all. Hopefully we can relive this vacation one day, we had a great time! Outstanding place. Great service. The best! Perfect view. Very clean. Super nice and easy to deal with owners. Very courteous. Wonderful! 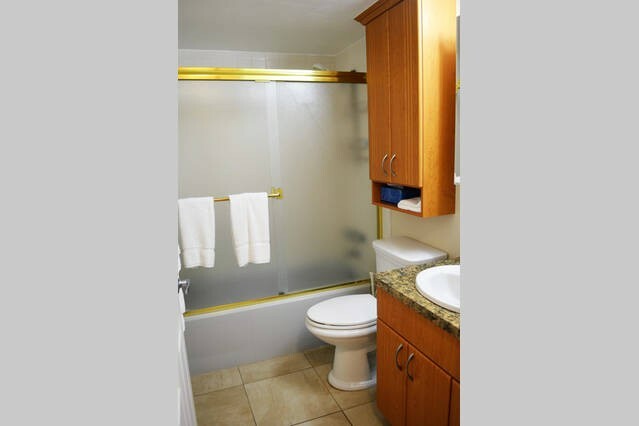 This unit has EVERYTHING you could need or want at your fingertips! 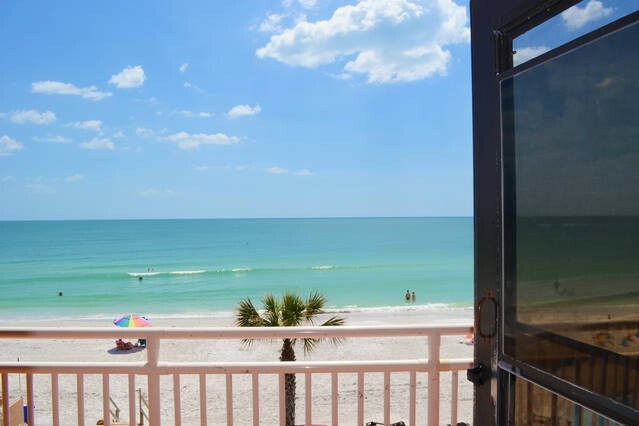 This rental is steps from the Gulf, the beach is wide and the view is terrific! 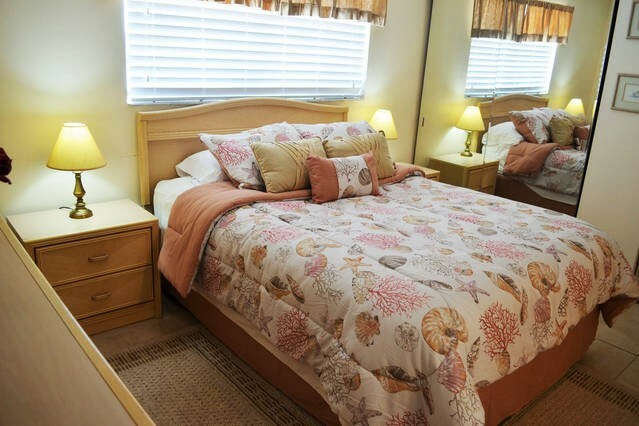 In addition to the the incredible location, the owner has stocked the unit with literally everything you could want or need while enjoying the sun, sand and fresh air. The kitchen has all the important utensils plus some "chef worthy" ones. The beach chairs and umbrella are great and there are a multitude of sand castle building, beach ball tossing and other toys for the kids, not to mention a small library of books for you to enjoy. The furniture is comfortable and there are plenty of "leftover" supplies from other guests if you forget something - I think everyone is so happy with the rental they just want to contribute to the stock! We had a great time and wish we could rent again next year - but our vacation time is booked already for this unit!